The days are cooler, and the sky is big and blue and sunshiny…perfect for brisk morning walks, end of season yard work and garden clean up, and plenty of baking with the windows open. And I’m in a total apple kick right now. While we were eating buttermilk pancakes recently, I couldn’t help but wonder what they’d be like filled with apple. So I played around with the recipe and came up with these Apple Oatmeal Pancakes. 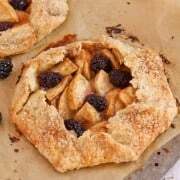 They’re hearty, yet not heavy, with sweet little apple bits throughout. Our girls think they’re awesome! And then, not really in the mood for maple syrup, I started thinking about something more caramel-like to top these cakes. I came across a syrup recipe calling for all the ingredients of a caramel sauce I already make, with the addition of buttermilk. Buttermilk? Really? My curiosity was definitely piqued. This Caramel Buttermilk Syrup is creamy, sweet, and buttery…and begs you to slurp it straight-up with a spoon. It’s a great alternative to maple syrup on your breakfast goodies. And a pretty awesome dessert topper, too, as I can also attest to how wonderful it is drizzled over a scoop of vanilla ice cream. ;) What a fun discovery! In a medium bowl, whisk together the flour, oatmeal, sugar, baking powder, baking soda, salt, and cinnamon. Add the buttermilk, eggs, butter, and vanilla, and fold to combine. Fold in the apple. Do not over mix. The batter should appear a bit lumpy. Let sit for 10 minutes to soften the oatmeal. Preheat an electric griddle to 300°, or place a cast-iron skillet over medium heat. Spread a 1/2 tablespoon of butter around the surface. Using a 1/4-cup measuring cup (I like my pancakes on the smaller side…easier to flip, easier to have “just one more”! ), pour the batter in pools, leaving an inch or two of space between each pancake. When the pancakes have bubbles on the surface, about 3 to 4 minutes, flip them. Cook until they are lofty and golden, another minute or 2. Serve with warm caramel buttermilk syrup. In a large saucepan (make sure it’s large, this will bubble up!) over medium-high heat, combine the butter, sugar, buttermilk, corn syrup, and salt. Bring to a boil. Boil for 3 minutes. Remove from heat and add baking soda, stirring to combine. The syrup will bubble up and look very foamy. Stir in the vanilla. The bubbles will settle and the syrup will thicken as it cools. Be sure to make the syrup before you start the pancakes, so it has time to thicken. If the syrup starts to separate, simply give it a brisk whisking. Syrup can also be served with buttermilk pancakes, waffles, French toast…and ice cream! Apple Oatmeal Pancakes adapted from my family’s favorite buttermilk pancakes. Caramel Buttermilk Syrup adapted just slightly from Gracious Rain. I’m linking up with TidyMom! 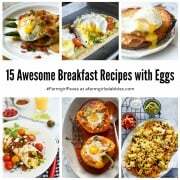 Come join #DairyBreakfastClub recipe party at TidyMom along with The California Milk Advisory Board and RealCaliforniaMilk.com! Could you use Almond milk in place of buttermilk? Great recipe! I love using oats in pancakes…what a perfect way to add some whole grain. Here’s a tip that I use to easily incorporate the oats in mine: put them in the blender and pulse a few times to break them down into smaller bits – http://spinthemeal.wordpress.com/2012/10/13/blender-banana-oat-pancakes/. My husband went absolutely mental when he ate these. I was surprised by how dense the batter was so i cooked them awhile to make sure they were done in the middle. They turned out great and the syrup is to die for. The left overs went into the freezer and were reheated in the toaster. it will definitely be made again soon! YUM!!! Mmmm, I’m on a major apple kick right now too! Those pancakes look amazing, but the sauce! Wow! Thanks so much for sharing the recipes. These look delightful! Love the addition of oatmeal. Ahhhh…so nice to hear from you, Launi! I’m planning to make another batch of pancakes this week and use up the remaining syrup – yum! I’m sitting here wondering how I’ve never thought to put oatmeal in pancakes before…! Must try this. Happy to have found your lovely blog! 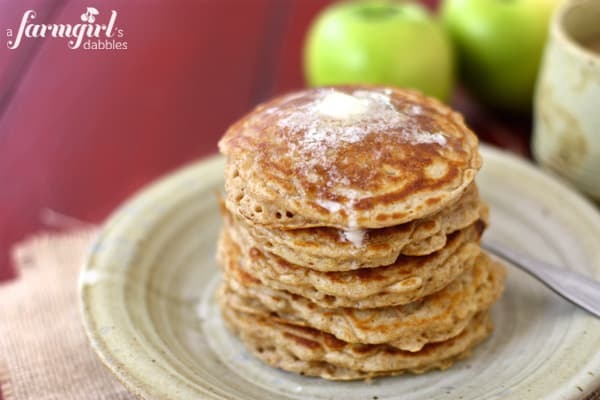 I adore oatmeal pancakes and the addition of apple in these sounds wonderful! I see these in my very near future! Sounds absolutely delish! I just made some banana oat pancakes this weekend, and my boys gobbled them right up. 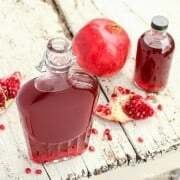 Your syrup sounds unbelievably good!!! Ooo, that caramel buttermilk syrup sounds heavenly! Caramel Buttermilk Syrup??? These sound insanely delicious! You are killing me with your pancake recipes! 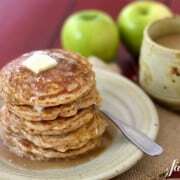 My recipe for apple cinnamon pancakes says that you can freeze them and reheat in the toaster. I have and they are just as good as when fresh. I wonder if these would do the same. I love that there is oatmeal in them. I need to try your freeze & toast method, Paula – what a great quick (and WARM, now that we’re thinking about the cold months ahead) breakfast to get the girls going before school! Your pancakes just keep getting better & better!!! Love this idea — the oats & cinnamon are my favorite. And, with apples, even better. 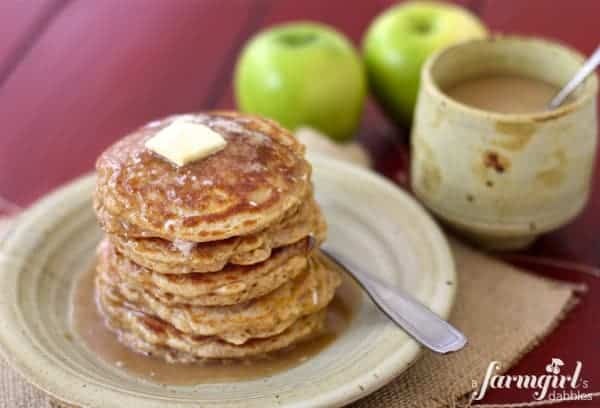 I love oatmeal pancakes and the addition of apples sounds perfect. . .as does that syrup!! I would like to drink the caramel syrup on it’s own. HEY…it’s a Farmgirl Pancake Friday. :) Love this recipe Brenda and I am so excited I get to see your face in a couple of weeks!! WOOT. Have a super weekend darlin! It sounds fantastic…bring on Fall!! Oh I love these pancakes! I want a stack for my Saturday breakfast :). I love oatmeal pancakes, Brenda. The apples are perfect for fall, too. I just ate my first Honeycrisp apple of the season yesterday and I can’t wait for another. These look perfectly seasonal! I know what I’m making for breakfast this weekend! These look absolutely wonderful! Oatmeal (as in already made) or oats, which are two different things. Oats! Thanks for catching my wording, Candace – I made the change.